Putt-Putt. Goony Golf. Mountasia. Sir Putt-A-Lot’s Merrie Old Fun Centre. Regardless of the name and the location, the game is the same – miniature golf. Players have fun attempting to navigate twisty courses or timing their swing, so the ball passes through without hitting the blades of the windmill. 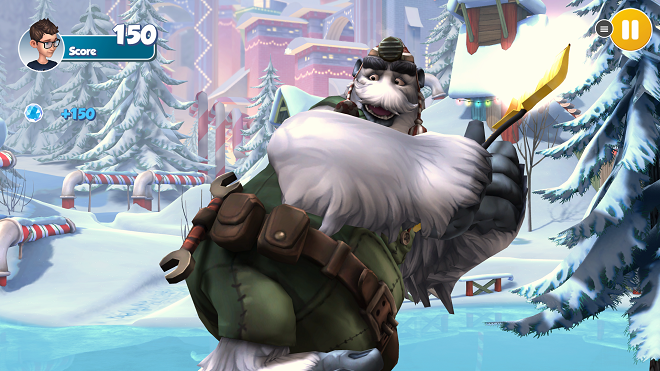 Thanks to Zen Studios, that enjoyment now extends to Xbox One with their latest release, Infinite Minigolf. The name is fitting, as the game features a construction mode where users can develop their own crazy golf holes, then share them with others. At last count, there are already over 12,000 extra holes to try, and the number should hopefully keep growing as more players try out their creative talents. 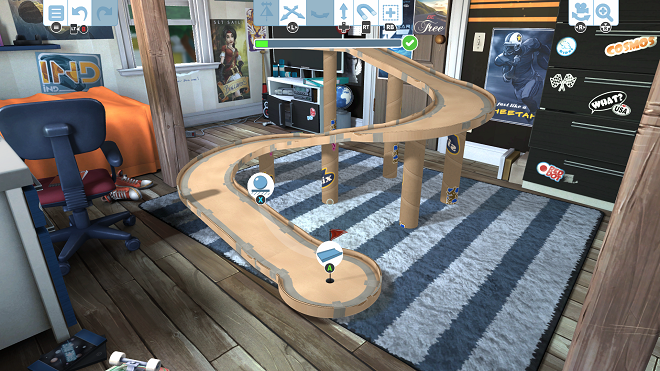 Putt like a pro –After prepping your avatar (more on this in a bit) and choosing one of three different worlds – a kid’s room where the player is the size of a toy, a spooky world inspired partly by one of Zen’s Pinball FX 2 tables and a Christmas wonderland – you’ll find yourself on the tee box. The Left and Right Sticks will help you set up your shot, and when you’re ready, press A to begin the simple swing mechanic. Pull back the Right Stick to set the power and let it go. After a few holes, Ty Webb will have nothing on your putting skills. Forgiving, when it’s right – A bad swing in a regular golf game will set you back a number of strokes, which can frustrate even jaded video-golf veterans. Fortunately, Infinite Minigolf keeps it fun. Even if you manage to land out of bounds, your only penalty is to be set back on the course and ready to try again on your next stroke. Each hole is a par-5, so there are plenty of chances to end the hole under par. Now, you might be tempted to replay a hole you figure out during a given match. You certainly can do that, but you will nullify your current tournament. Better to wait and try again later. Built to last – When you’re done trying out the pre-made courses, head over to the Editor and build your own. Choose the world you want to build in, and you’re given all the tools you need to come up with your own holes. All the gadgets you encounter in the pre-made courses are available, and you’re given quite a bit of space to work with. An on-screen gauge will show you just how much you can build. The test tool lets you try it out yourself before unleashing it onto Xbox Live. A course browser lets you search through the thousands of user-created holes and download those you like. 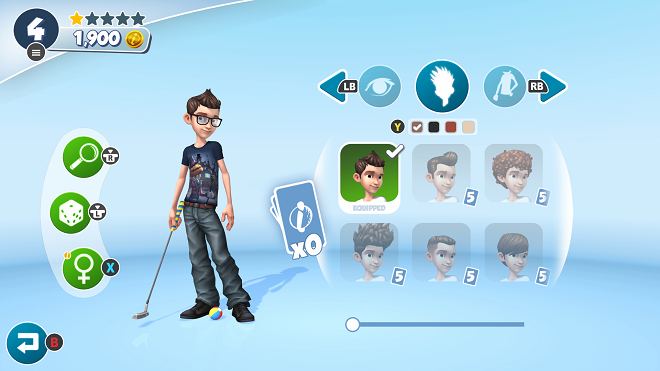 Avatar aggravations – Players can customize their in-game avatars with a wide range of options in hair style, eye color, and attire. However, many of those options are locked away – yes, even eye color – until you start playing. As you win tournaments, level up or complete challenges, you will be awarded with blind packs that randomly award a certain number of credits to be spent on the avatar items. Unfortunately, the credits must be spent on the item type shown on the card. For example, if the card says it gave you 15 credits towards a new shirt, you can’t use those credits for a new pair of pants. While there are no micro-transactions, it’s still silly to not allow users to customize their basic appearance at the start. Power-up problems – Some holes have power-ups scattered around them that can cause all sorts of good things to happen, such as attracting a ball to the pin or giving it wings to fly over an obstacle. Some work well, but others seem to create problems or aren’t very clear in what happens when you activate it. Plus, the level design seems to suggest the power-up should be used immediately when you collect it, which has caused me more grief than holes-in-one. 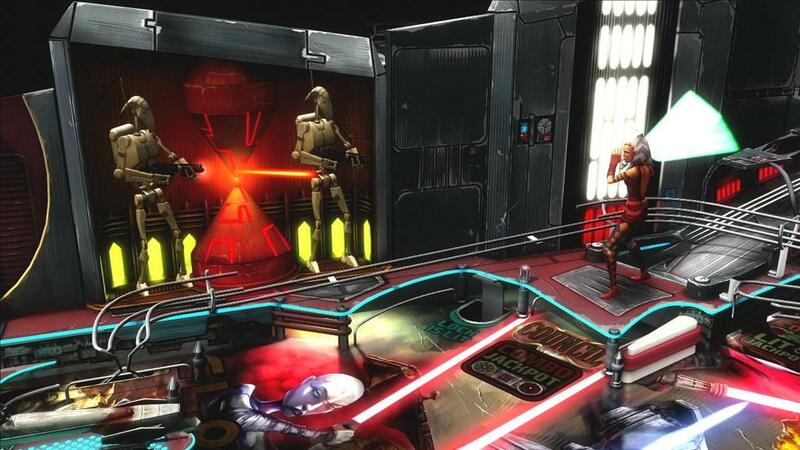 Subpar sounds – Zen Studios is responsible for one of my favorite Xbox games, Pinball FX 2. Those tables have some amazing music and sound effects, both on tables with licensed characters and their own tables. What I can’t figure out, though, is how that skill didn’t make it to this development team. The sound design here would best be described as “adequate.” There’s a simple instrumental in the background while you play. That’s not too bad, but your character’s celebrations after completing the hole have next to no voice-work at all, and what is there just doesn’t seem to mesh up with the animation. I have heard worse, but Zen is capable of better. Miniature golf has always been about fun unless your parents wager mowing the lawn while wearing drag on your performance. Fortunately, Infinite Minigolf brings the fun both locally and via Xbox Live. It’s simple to play and approachable, letting both seasoned duffers and novice putters compete. 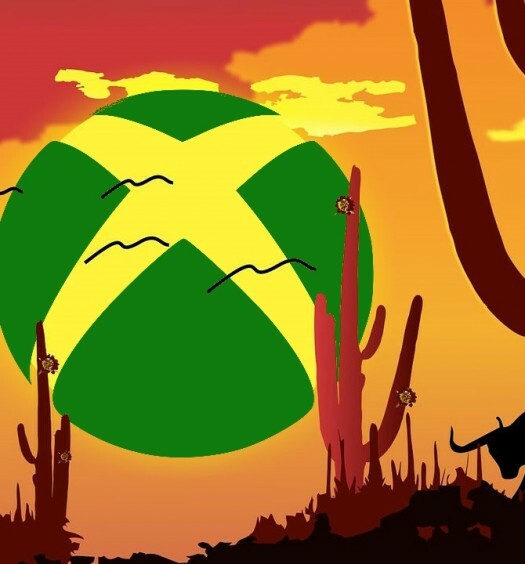 Xbox One has no shortage of golf titles, but they lack the expandability offered by Infinite Minigolf, and best of all, all those new courses are free for the asking. Well, after you pay your modest $14.99 for the game, that is. 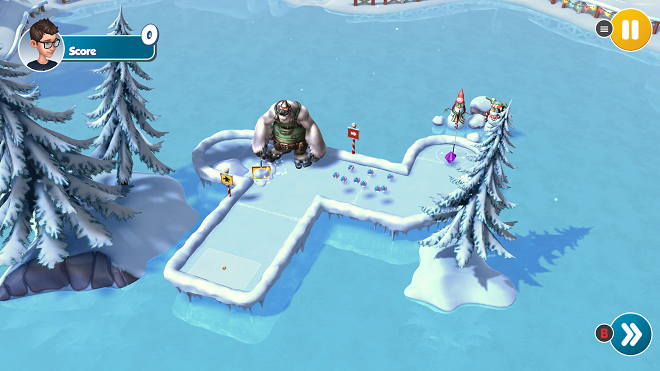 Infinite Minigolf was developed and published by Zen Studios. It was released on July 24, 2017, for $14.99. A copy was provided for review purposes.